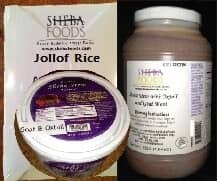 Sheba Foods delivers the highest quality and delicious African foods to homes like yours. About US at a glace. Sheba Foods is headquartered in Georgia. >> Celebrated by major media. >> View our latest CNN interview and Cooking DVD TrailerSheba Foods is headquartered in Georgia. 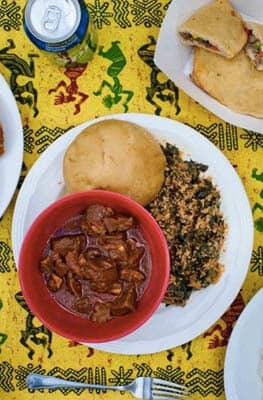 >> The first and largest, branded frozen-African food company in the United States with products made with Georgia produce. >> Convenient home or office delivery—Straight to your door or pickup in our Store. >> 24 hour access - Order online 24 hours a day, 7 days a week. >> Easy to Order! Ordering online is very secure and easy. >> No membership fee - No hidden charges. >> We accepts Visa, Mastercard, Discover and American Express. Sheba Foods delivers dry and fine frozen to neighborhoods worldwide. Products are available to stores and the individual consumers through a variety of channels like this web site. Sheba Foods is growing day by day to become United States largest producer of frozen African foods as well as a dependable source for quality dry African products. I am a Christian and have always been fascinated by the Queen of Sheba, an Ethiopian Queen mentioned in the Bible. She was a gorgeous woman; a mover and shaker. Queen Sheba was not one to sit around and rest on her laurels. She made it her business to keep tabs on what was happening around her. She heard about Solomon's wisdom and his relationship with God. Since she was a Queen, she could have sent an ambassador to Solomon for an eyewitness report. Instead, she went to Jerusalem herself to see and hear firsthand. It was not an easy journey in those days, probably 1000 miles - with a great caravan on camelback. There were no motels, no indoor plumbing, and no air conditioning. But people were traveling to Jerusalem to witness the wonders of God. She had to be one of them. The Queen arrived during the zenith of Solomon's reign. He had amassed great wealth and had surrounded himself with astounding beauty. The visiting Queen was overwhelmed by his wealth and even more by the presence of God in his court. The Queen understood the Lord was responsible for Solomon's rise to power. The Queen of Sheba was Solomon's female counterpart, for she valued God's wisdom above all else. She came to Solomon and talked with him about all that she had on her mind (1 Kings 10:2). Solomon answered her questions. Jesus commended her for her passion for truth: "The Queen of the South will rise at the judgment, for she came from the ends of the earth to listen to Solomon's wisdom." Mathew 12:42. The Queen longed for wisdom and the Lord gave her wealth, honor and fame as well - including a place in his word. Taken and paraphrased from my NIV Bible: Women of Faith. 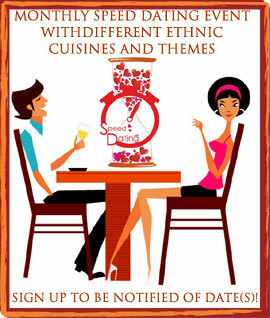 Is there a product you have noticed we don't carry, but you would like to suggest to Sheba Foods for the future? Use our Contact using our support ticket system. We appreciate your feedback. Thank you.